The Internet has spread photos from the paparazzi, demonstrating the sports ST-modification of a Ford Focus Hatch new generation. Photos of the car, which will debut next year, shown in Carscoops. 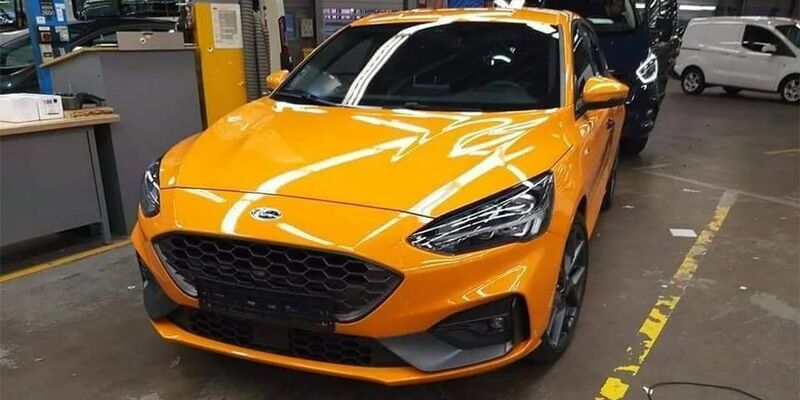 The pictures make it clear that the 'hot' Focus has a huge honeycomb-style radiator, a special front bumper that closely resembles the standard Focus ST-Line. Another new product will be equipped with an enlarged splitter in the front, another side 'skirts', lightweight wheel disks, stronger brakes, and 4 dual exhaust pipes. The interior will be replenished with front Recaro buckets, the ST logo on the headrests, decorative carbon fiber inserts and a sports steering wheel with leather. The new car will have a 2.3-liter turbo V4, but how much power it will have is still unknown.